North Bridgton, ME – Eight years after the Coaches vs. Cancer Classic basketball tournament debuted at Bridgton Academy, the team can now say they own a championship at their own tournament. 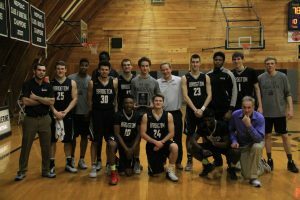 Bridgton defeated Navy Prep 61–53 Friday night, then finished out the tournament Saturday afternoon with an impressive 78–70 victory against St. Thomas More at a raucous Memorial Gymnasium to become 2017 Coaches vs. Cancer Winter Classic champions. 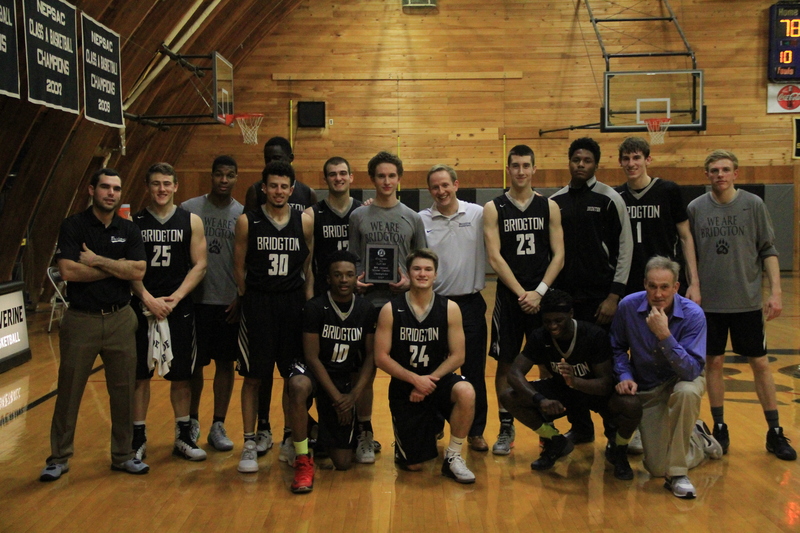 Avenging a loss to St. Thomas More earlier in the month, the Championship game was a showcase of back-and-forth basketball, with Bridgton pulling away in the last minute and a half. Bobby Planutis (Hazelton, PA) lead the way for the Wolverines, averaging 21 points and 14 rebounds for the tournament. Jack Lesure (North Bridgton, ME) had a double-double with 10 points and 11 rebounds. In all, four Wolverines notched double figures in points. Riding a four-game win streak (all at home), the Wolverines head to Wolfeboro, NH for a stout test against Brewster Academy on Wednesday. The Coaches vs. Cancer Winter Classic is a four-team basketball tournament to benefit the American Cancer Society (ACS). The team was able to present the ACS with a check for over $1,000 from admissions fees from the weekend, and during the eight years of the tournament has donated over $6,000 to further cancer research in hopes of finding a cure.